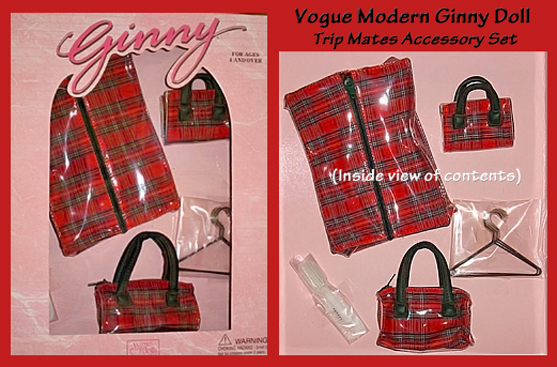 Ginny will be traveling in style with this adorable Modern Ginny Doll "Trip Mates Accessory Set" from 1995. The set includes a red plaid vinyl hanging garment bag with zipper, three hangers, zipper carry-on tote bag, and a jewelry pouch with handle. Ginny's white brush and comb set is also included. An adorable set for Ginny and her travels!